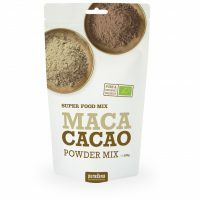 Maca & Cocoa By adding cocoa and lucuma to maca, the less agreeable flavour of maca is neutralised. That way you can benefit from the nutritional properties of this heavenly mix to the full. Maca can reinforce physical and intellectual performance; it is a source of energy and increases the libido. Purasana maca is gelatinised. This means that the starch chains have been broken so that the maca can be absorbed more easily. 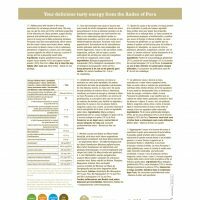 Cocoa is rich in potassium, phosphorus, magnesium, calcium, zinc and copper. Lucuma supports the effect of maca as a source of energy and has a pleasant, sweet taste. Quinoa Instant & Cocoa Quinoa is a seed similar to cereals, with a complete protein profile, which means that it contains all essential amino acids and has a high protein digestibility. This protein source is similar to that of milk. Compared to cereals, quinoa is ‘light’: quinoa is gluten-free and easily digestible and has a low glycaemic index and a delightful flavour. Adding organic cocoa and organic lucuma powder increases the nutritional value and creates a pleasant flavour.